Send holiday greetings with the Happy Hanukkah Gourmet Kosher Hanukkah Sweets Gift Basket. All products are certified Kosher and definitely delicious. 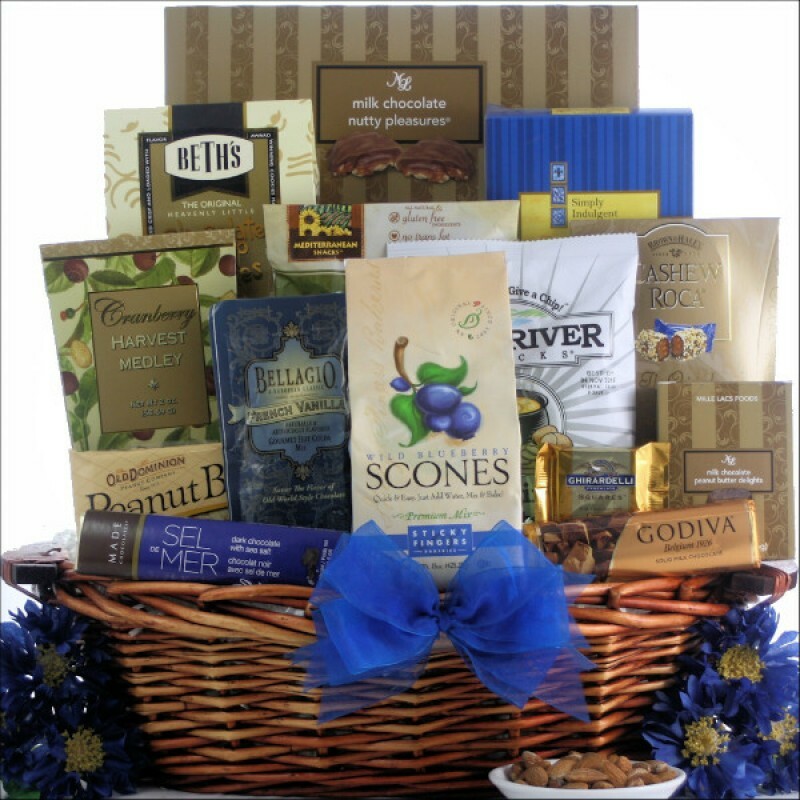 This exceptional collection of sweet and savory treats includes a Godiva Milk Chocolate Chocoiste Bar, Cinnamon English Tea Cookies, Blueberry Scone Mix, Cranberry Harvest Medley and more! A great way to let your family and friends know that you are thinking about them during this festive holiday season. ...in an Oval Stained Gift Basket with Side Handles.